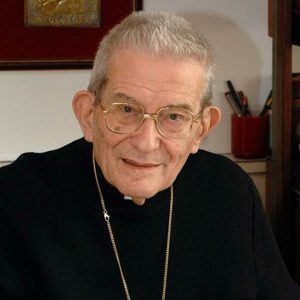 Loris Francesco Capovilla was one of the oldest Roman Catholic bishops, and, since his elevation in February 2014, the oldest member of the College of Cardinals. 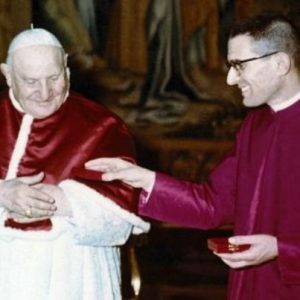 Capovilla was born October 14, 1915, in Pontelongo and was ordained a priest of the Archdiocese of Venice on May 23, 1940, by Cardinal Piazza, Patriarch of Venice. He formed a close friendship with Cardinal Roncalli (later Pope John XXIII) when the cardinal was the Patriarch of Venice. He claims, however, to have never called himself Roncalli’s friend, but considered him his bishop, his father, and his patriarch. 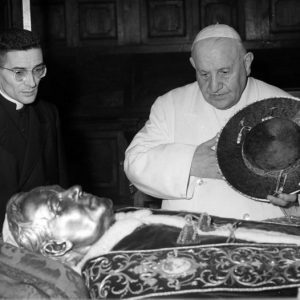 He remained at Roncalli’s side as papal secretary after Roncalli’s election to the papacy in 1958 until his death in 1963. 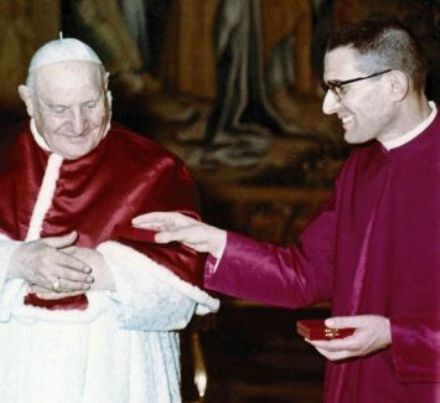 Capovilla was appointed bishop of the Archdiocese of Chieti-Vasto on June 26, 1967, and consecrated on July 16, 1967, by Pope Paul VI. He chose as his motto, Obedience and Peace, the one used by Pope John XXIII. On September 23, 1971, he was appointed prelate to the Loreto Prelature and the Titular archbishop of Mesembria. His resignation from his position in Loreto was accepted on December 10, 1988. 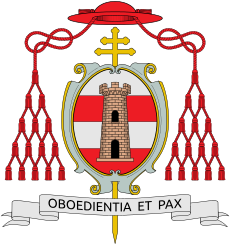 Capovilla received a dispensation and did not attend the consistory where he was named cardinal. 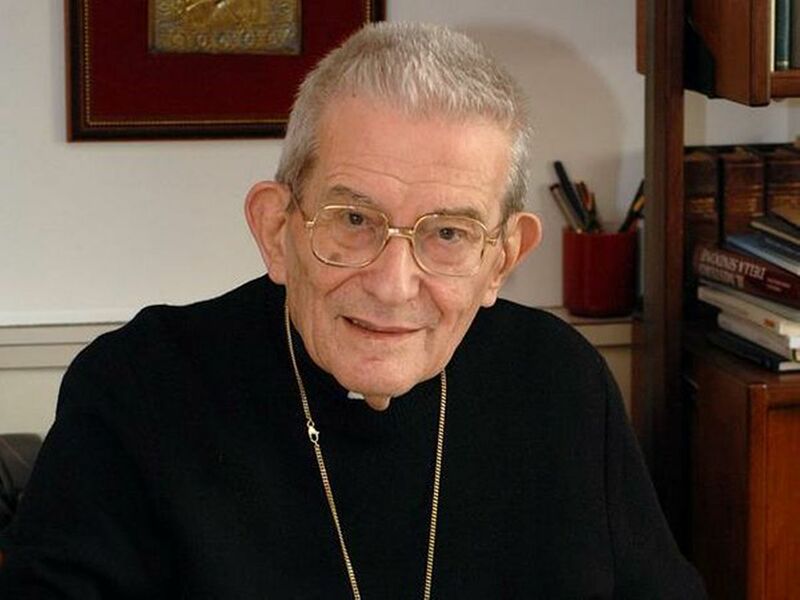 He said: “I’m not strong enough and I feel uncomfortable at the thought of meeting so many people.” He was named Cardinal-Priest of Santa Maria in Trastevere. Cardinal Angelo Sodano, the Dean of the College of Cardinals, bestowed the biretta and cardinal’s ring upon Capovilla on March 1. In 1964, he published a memoir, The Heart and Mind of John XXIII: His Secretary’s Intimate Recollection (published by Hawthorn Books). As of 2013, he lives in Sotto il Monte Giovanni XXIII, about 25 miles northeast of Milan. 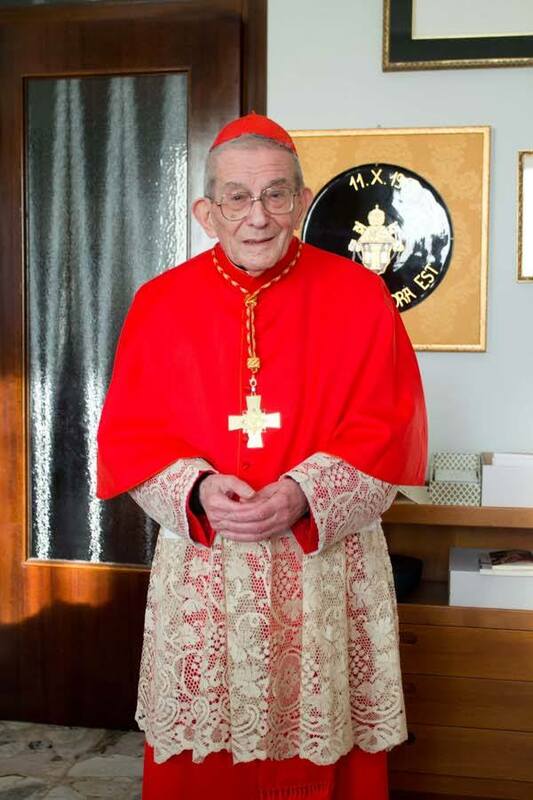 Cardinal Capovilla died on May 26, 2016. He was 100 years old. 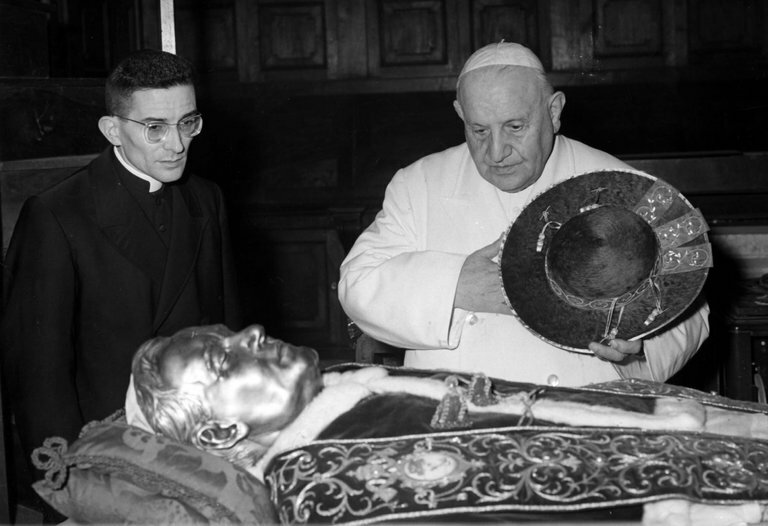 The item presented here is a second class relic of Saint John XXIII. It is a white swathe of cloth from his papacy, suggesting it is an article of clothing worn by the Pope. 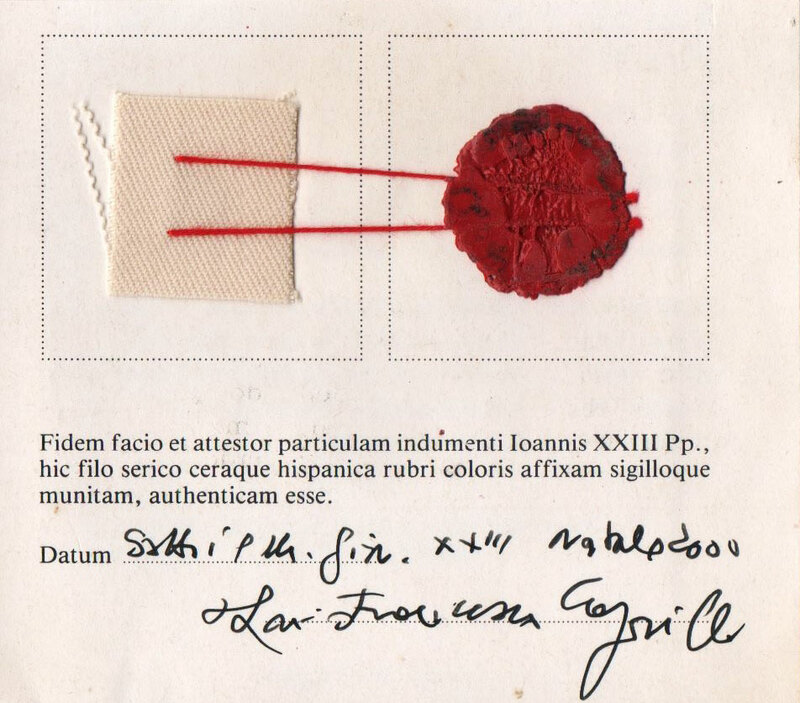 His secretary, Cardinal Loris Francesco Capovilla, attests to the authenticity of this item and adds his signature to the document. A wax seal is also part of the authenticity of this item.